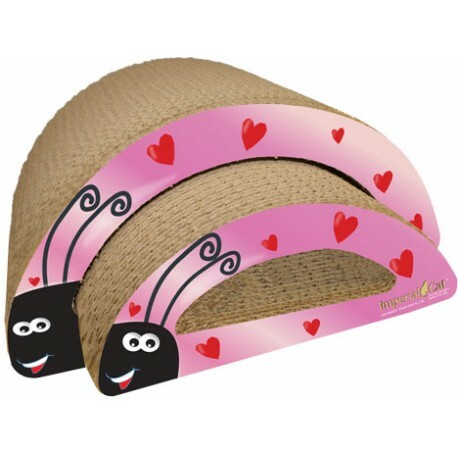 The adorable Love Bug combo features two scratchers in one! 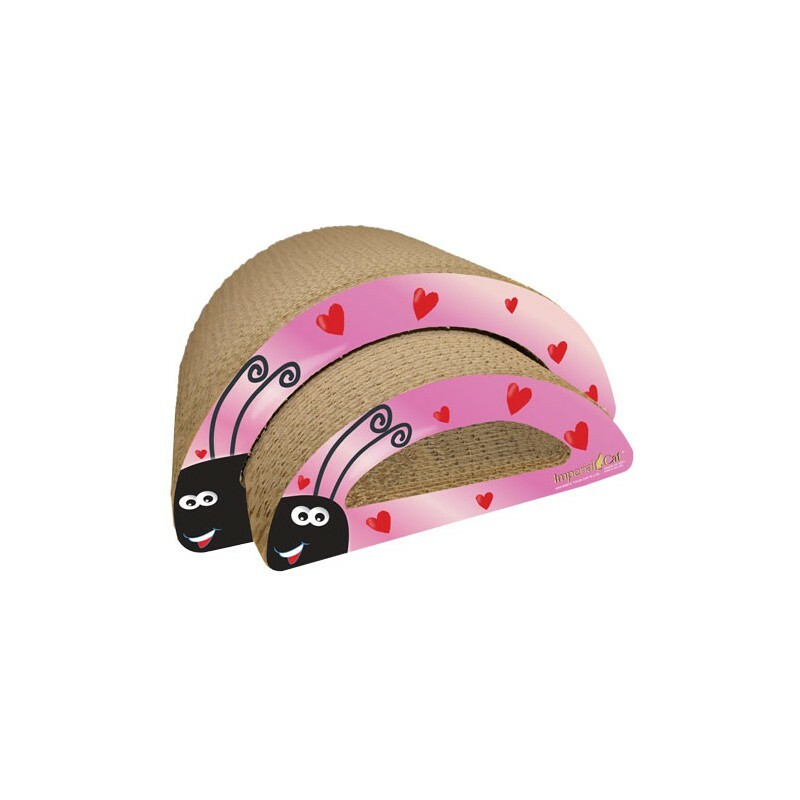 The adorable Love Bug combo features two scratchers in one! The smaller Love Bug removes from the larger Love Bug for two times the fun, and nests compactly when not in use. Unique honeycomb surface mimics the feel of tree bark (a texture cats prefer), so kitty will scratch this, and not your expensive home furnishings. Made in the USA from recycled paper. Bag of 100% certified organic catnip included. Dimensions: 9" x 15 " x 7.75"